Did you know that 74% of Americans read eBooks to research on specific topics that interest them, and 78% use them to keep up with current events? These statistics from Pew Internet epitomize the increasing popularity of eBooks. 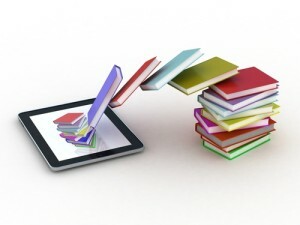 The new, visual sensation for enhancing content, eBooks are a great way to boost your company’s visibility and industry expertise. However, as all eBook creators know, awesome eBook content takes time. From hours of researching statistics to endless meetings with designers, eBooks take time, money and resources. So, why not repurpose your content to get the most value out of your eBook investment? 1) Design an Infographic – From visual appeal to easily accessible information, infographics are a great way to repurpose statistics from your eBook content. Create fun designs for your statistics. This will attract more eyes, and will also appeal to upper management who might not have the time to read the entirety of your eBook. 2) Create a Quiz – From Buzzfeed to Quibblo, taking online quizzes has become an Internet sensation. So what better way to repurpose your content than by creating a T/F quiz on the statistics used in your eBook? This will not only provide valuable information to your readers, but will also do so in a fun, engaging way. 3) Make pins on Pinterest – Designed as a visual discovery tool, Pinterest allows you to repurpose your graphic content on a new social media network. Whether you take individual pages or specific pictures, create a board dedicated to your eBook and pin your most visually appealing content to it. This will allow you to show off all the hard work you did on your content’s design. 4) Repurpose quotes into a blog post – Take the best quotes from your eBook and center blog posts around them. Since most of your quotes come from industry experts, center a blog post around a specific expert, showing that you have connections with the most influential leaders of your field. 5) Customize your email signature – To gain even more exposure for your content, personalize your email signature with a link to your most recent eBook. Ask your coworkers to do the same. By adding a link to your email signature, you will gain more eBook views and downloads by the people you communicate with the most. 6) Hold a webinar – According to Content Marketing Institute, 61% of B2B marketers rate webinars as the most effective content marketing tactic. Webinars are not only a way to show authority in your industry, but you can use SEO strategy when you upload them to websites, such as SlideShare. Keep in mind that when you create awesome content there is always ways to repurpose it. The more creative you get with repurposing will increase your chances of gaining more exposure to your content. Get the biggest bang for your buck, and repurpose your eBook with these creative ways. Want to create an eBook on industry expertise for your company? Contact us today.